Democratic candidates for two of the most-prized races in the midterm elections are joining other Florida Democrats to kick off the general election campaign. Democratic gubernatorial nominee Andrew Gillum and U.S. Sen. Bill Nelson are headlining Friday’s rally at a union hall in Orlando. Also joining them are Sean Shaw, the Democratic nominee for attorney general; Nikki Fried, the Democratic candidate for agriculture commissioner; and Jeremy Ring, the Democratic nominee for chief financial officer. Florida’s Democratic leaders are hoping to energize voters during the more than two months leading up to November’s general election. 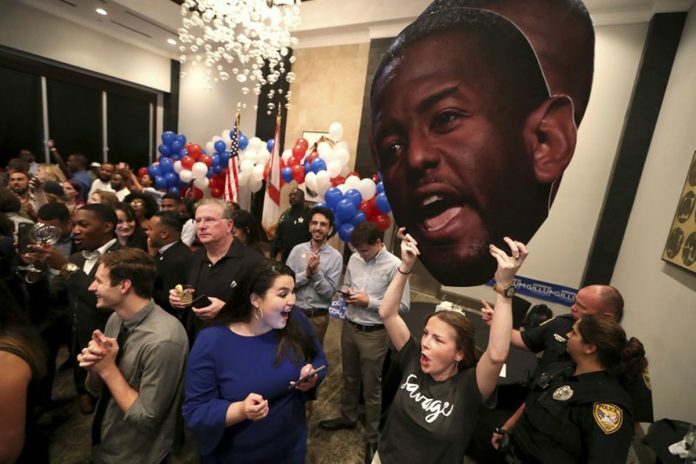 Gillum’s matchup against the Republican nominee, U.S. Rep. Ron DeSantis, and Nelson’s race against Republican Gov. Rick Scott are two of the most-watched races in the midterm elections.